There are a variety of different options that you need to look at when you’re looking for a commercial moonwalk. It’s necessary to remember that you need to purchase something like a USA Commercial Moonwalk from a great manufacturer that you have confidence in. One of the best warranties in the business. It’s critical that the item that you buy has this feature. Any commerical moonwalk that you buy will get its fair share of rugged use and that’s why you need to have outstanding backup as well. They have the ability to customize colors. That’s essential when you’re dealing with particular customers. All the products that they sell are double and quadruple stitched for durability. Remember that you need to look at the whole picture when you’re looking at buying the best inflatables and when you’re looking at buying a commerical moonwalk, you need to be sure that you’ve got a manufacturer that has the best qualities to offer. 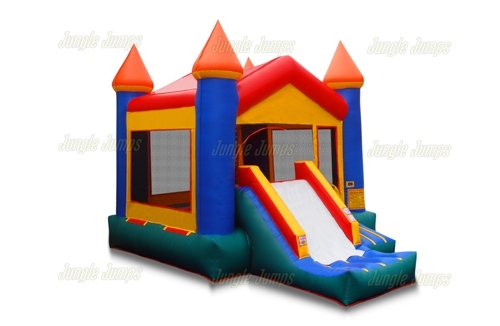 You’ve got a few balls to juggle when you’re looking for a great jump house for sale. 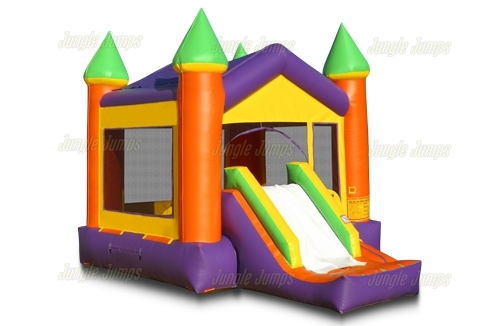 You need to be sure that you’re getting the best value for your dollar and that’s why the clear choice for any commercial bounce housethat you need is junglejumps.com. A great warranty. When you’re in the market for outstanding customer relations you don’t need to look further than right here where you’ll find one of the best warranties in the business. Excellent craftsmanship. A good bounce house for sale will see a lot of use and that’s why you need to be sure the one you’re looking at is double and even quadruple stitched. Customer service. It’s good to have a few different ways that you can contact your commercial bounce house manufacturer. A good way to find a great jump house for sale is by applying a few criteria. With the summer fast approaching and the school year coming to a close, now is the time to really take a look at your inflatables target audience. Chances are you may not be maximizing your business’ potential and reaching every market for your inflatables. Birthday Parties. This one is obvious, moms are always looking for creative ways to keep a group of kids occupied at a birthday party (and expending energy!). But you should also consider birthday party venues. For example nearby farms or other outdoor arenas offering birthday party services would often be happy to add an inflatable to their party options. School Events. The end of the school year approaching often means plenty of outdoor school events. Inflatables are a fun, safe way to keep the kids occupied and give them a nice reward for the end of the school year. Summer Kick-Off / End of School Year Celebrations. Not only are schools celebrating the end of another school year, but the students will be celebrating with their families as well. Many times this involves a party with friends and neighbors. An inflatable is a great addition and is sure to be a crowd pleaser. Block Parties. Neighborhood parties and barbecues are a common thing this time of year. What better way to entertain the kids and keep them out of trouble than with an inflatable. Close-knit neighborhoods and townhouse or condo associations also make a great customer for inflatables. Summer Camps. Days jam-packed with activities for the kids can be a challenge for even the well-equipped camp. Inflatables will provide a fun activity for a wide age range of campers. Fund-Raising Groups. From church youth groups to scout troops, everyone is always having some kind of a fund-raiser. An inflatable is a great way to attract a crowd and bring in some cash flow. Summer Holiday Parties. Summer offers Memorial Day, the official kick-off of summer and the Fourth of July. Both of these holidays can be major party events. And a party just isn’t complete without an inflatable. Take advantage of the summer holidays to market your services. Carnival / Outdoor Festivals. While carnivals have their own rides and events, many are open to an additional inflatable. This give them more excitement to offer customers and an additional money-maker without the traveling and packing hassle. Any organization offering an outdoor event / open house. Keep your eyes and ears open, the target audience for inflatables may not always be as obvious as you thing, but they are everywhere! The goal for your business is always to try to stretch your advertising and marketing dollar as far as possible. The following are some budgetary tools you can use to promote your business. Parents’ Magazines. Running an ad in a parents’ magazine is a great way to stretch your dollar and ad longevity. Magazine are generally kept for quite some time and re-circulated among parents, giving your ad additional exposure. The key is to design an ad that will stand out from the competition and make your company look different. Neighborhood Signage. Posting neighborhood signs will give you plenty of local coverage at a very low cost. Choose high-traffic areas for even more exposure. Make sure to check with your local ordinances before placing your signs. Door Hangers. This is another economical way to let local residents know about your business. Keep in mind that door hangers are generally not kept, unless the recipient is in the market for your product. To make the most of this type of marketing, make sure your fliers are economically produced, but still professional looking. Magnets. Magnetic business cards with your contact information are something that your customer can use. Keeping your information in front of them every day is a great way to retain customers. Vehicle Magnets. Take advantage of the free advertising space on your company vehicles. The more you travel, the more your company name and contact information gets out there. Sponsorships. Local sponsorships are another great way to get your business in the spotlight, and in a favorable light. Consider sponsoring a Little League sports team to target prospective customers. Craigslist. Listing your business and services on Craigslist is like getting a free listing in your local newspaper’s classified section. Take the time to select the right board and categories for your listing for the maximum exposure. Day Cares. Local day cares are also great for getting your business name in front of your target audience. While, most inflatables are not appropriate for children under age 3 many times the family may have older siblings. Whatever marketing methods you choose for your business, adults and children alike love inflatables! You just need to get your business name out there. Good luck! When you need a great inflatable slide for sale for your business it’s great to be able to come to a fantastic inflatable slide manufacturer. When you’re looking for something that you can use in the summertime for children’s parties and a variety of other uses you’ll want to consider the 16 foot rainbow slide that’s available here at junglejumps.com. 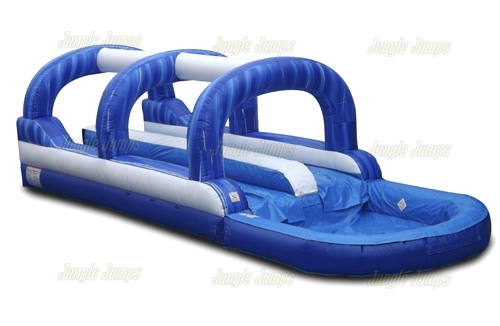 This is the inflatable slide for sale the promises all kinds of summer fun intimate with the most durable vinyl and its double and quadrupole stitched to make sure that it lasts for the longest amount of time giving you a fantastic return on the investment that you put into it. When you’re buying an inflatable slide for sale you need to be sure that you’re getting the best value for your dollar and at the same time getting something that is covered by an outstanding warranty. The 16 foot rainbow slide that you can buy here at junglejumps.com satisfies all these different requirements.